From thinking ‘perks equals culture’ to trying too hard on implementing activities you don’t quite understand, there are multitudes of ways one can create a terrible culture. These types of mistakes can easily come from either ignorance of what a ‘culture’ actually is, or ignorance to the environment and opinions of the actual workers. Below, we’ll be discussing what defines a terrible company culture, how it impacts your company and possibly, how to cure or avoid them. Taking our eyes off the best examples from large companies like Google and Facebook, many smaller companies or even big company’s branches have made some poor decisions. Those poor decisions being trying too hard to appeal to millennials. Below is a quick list of what some mistakes might do. 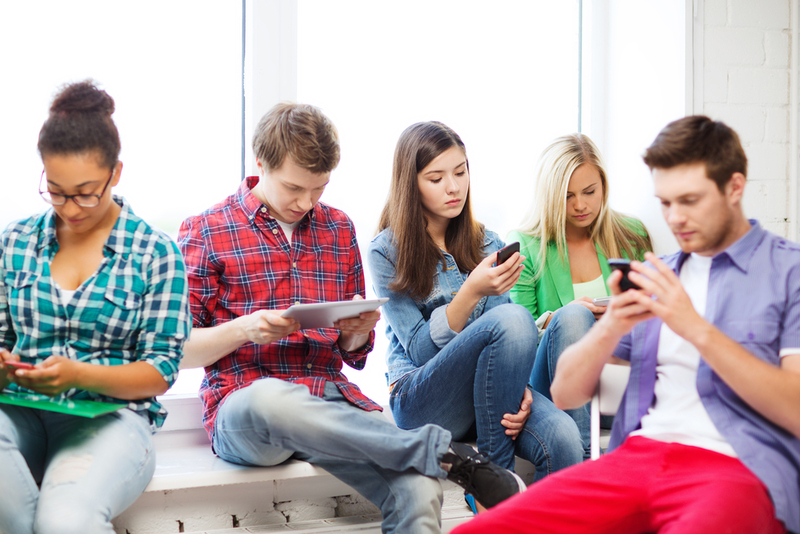 Pointing out the term ‘millennial’ could actually turn off millennials. Doing ‘group activities’ with things such as songs and bright t-shirts would disengage and make most people feel awkward instead of as a ‘bonding experience’. Putting in a lot of recreational perks in the hopes that it boosts your company culture, thinking it’s what millennials want. You read that right. Many companies, even today, think that it is enough to simply put in bean bags, a ping pong table, motivational quotes on the walls, and proudly think they have a fun and creative culture. Yet, while they puff their chest in pride, they fail to see the employees hanging around the break room; gossiping and complaining about incoherent tasks and uncaring managers. This dangerous way of thinking should be avoided by trying to understand what a ‘creative work culture’ actually means. Countless companies are cold and apathetic to their employees both in welfare and in engagement, caring only about results. Even if things are not that extreme, many companies still rely on a cut-throat competition based culture that is actually dangerous to have. Disengagement from this kind of environment can cause up to 33% of the annual decline in income. 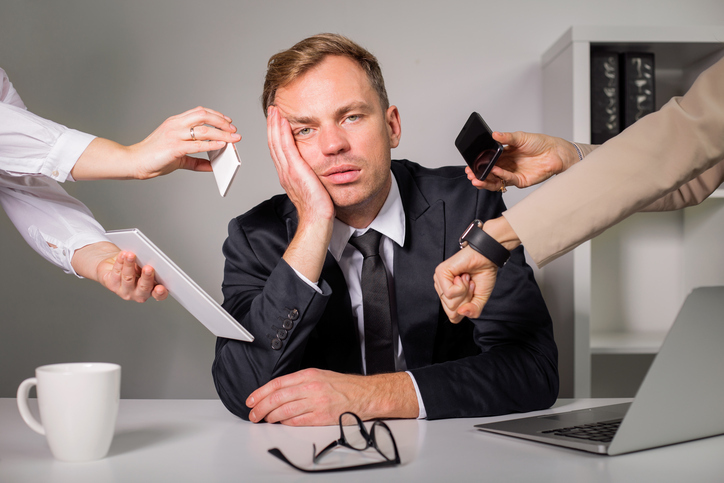 With over 80% of workers feeling pressured to be productive rather than creative, said companies are more prone to resignations and voluntary turnovers by up to 40%. Beyond that, companies that disregard the flexibility of work time for the employees’ personal appointments risks to have workers’ mental health issues. Whether the company is overzealous in the pursuits of a better culture without understanding, or the complete opposite, lacking a culture that supports the employees’ work may in fact damage itself. While a company does not need to fully embrace the new-age ‘creative’ work style (Such as no dress codes, free foods, recreational room, etc) there are some things every company could and should do. Below are some of them. When it comes to engagement to a culture around the workplace, you can’t simply hope that the easy way of buying recreational things to work. It’s always more valuable and appreciated when involvement is put into the table. Be it from a higher up giving more personal advice and opinions or junior workers have a chance to put their ideas and thoughts up there. Some companies do this, but they don’t go so far as to encourage it. Transparency among the workers is an aspect that is often overlooked. Many companies keep everything on a need-to-know basis. However, the truth is that a lot of employees are motivated more if they understand the company clearer. This gives them a sense of actual belonging, that the more they know about the place they work for, the more that they feel like a part of it all, instead of like a drone to do biddings. Good communication is the foundation of a good team. And the office is just a place where multiple teams work together as a big one. In an ideal world, everyone would be friends with each other and open up by default but that is not the case. At the very least, however, it is a good start to encourage friendly behavior so that people become more at ease with sharing ideas and opinions. Even as little as communicating to vote for the next company outing or activity is already a step forward rather than forcing everyone to join in something they didn’t agree with. In this day and age, little to no company is unfamiliar with the term of creative work culture/environment. It is the new and trendy thing to do after all. Not only does it keep your employees happy, but it keeps them motivated with their work. But what is it really? And why is it that they work? Below we’ll discuss what drives this creative initiative to better work performance as well as some misconceptions strewn about the topic. It’s easy to look at the term and think of the stereotypical things such as; casual dress code, flexible work hours and hip furniture and recreational appliances. And some of those things may be disheartening, especially for corporations and formal companies as they do not promote professional appeal. However, this isn’t really the case. While those benefits also help offer a creative environment, they are not exclusively the only things you can do to drive passion from your employees. You can still wear a suit and tie, but have fun in the office. 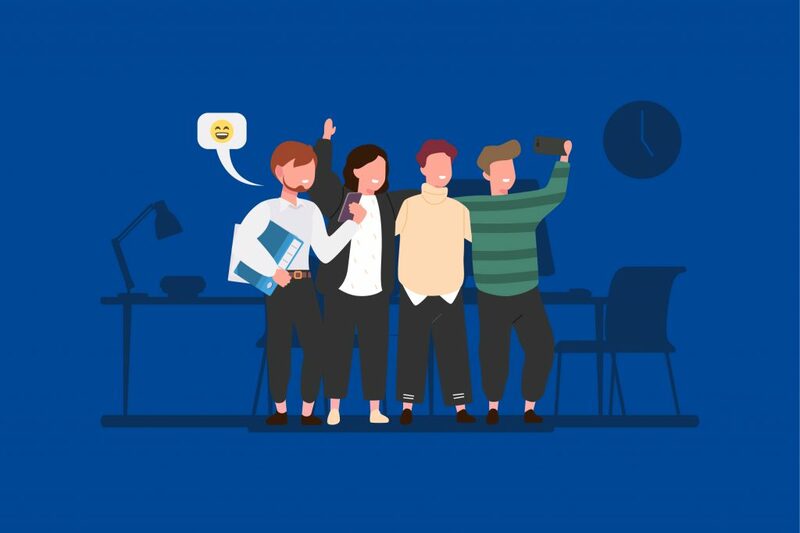 The rise of millennial-run and young companies or even competition with those aspects helped drive the idea that these are the things that the younger workforce wants. But in reality, they are not at all necessary. Casual dress codes and recreational activities within the office are in fact, a source of motivation, sure. They inspire a fun experience in the office. And yet, they don’t necessarily tie in to productivity nor creativity. And actually, they may even pose a risk of disturbing any sense of diligence, turning your employees lax and apathetic to their work should these initiatives not be well-deployed. 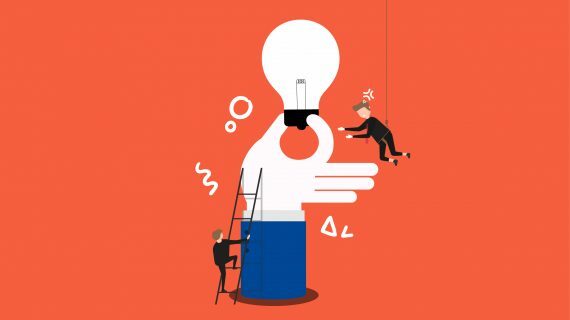 What is a ‘Creative’ Work Culture? 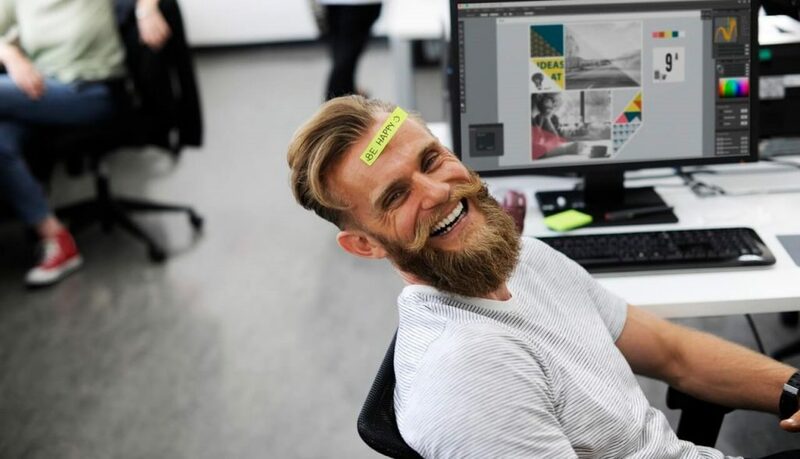 Besides simply catering to an employee’s enjoyment of their work experience, creative work culture is where they and you earn the rewarding sense of accomplishment in your work. A culture based on making you work the best you can while being able to take pride in it. This sounds obvious like something all companies should strive for, but the truth of the matter is that countless companies still disregards this aspect in their work culture design. 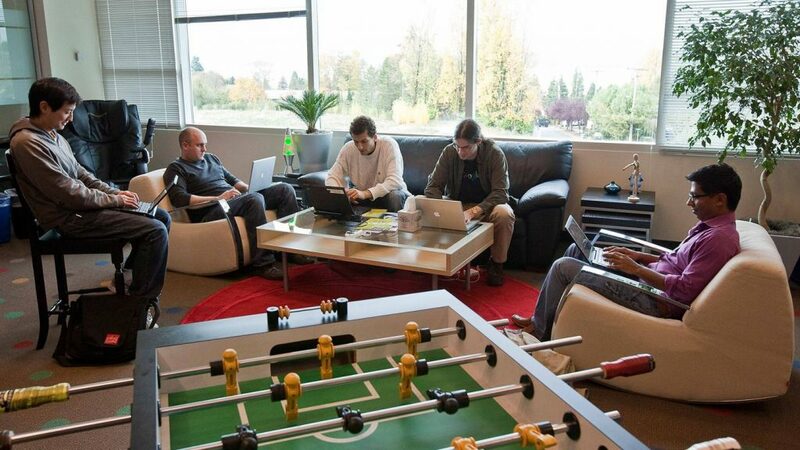 As a prime example of work culture, we take a look at Google. Fittingly enough, if you google Google’s work environments, you’ll be introduced to a torrent of content singing high praises for the work experience the company provides. This is to be expected from ‘The Best Company to Work For’ in the world. However, people often mix up the work perks and benefits Google provide with what makes them earn that title. While free food, massages, and education reimbursements are a large part of what keeps their employees happy, what makes working at Google so satisfying is actually none of those things. The constant strive to achieve greater heights, transparency and a sense of openness among work peers. Those are the true elements that create Google’s efficient yet friendly teams. It’s all too easy to misinterpret what truly matters among the glitter of benefits. Because most of the time, the trade-off for these work benefits may be pure capital and is barely profitable, but they offer ease. Investing in benefits only require you to pay up, but never really to get attached or add in personal touches. In its core, a creative work culture should exist to serve freedom of work for your employees. To make them appreciate and take ownership of the things they do. Thus, the term ‘creative’ comes into play. Which is to say, your workers are given freedom to be creative with what they do and feel like said work is their own rather than a chore handed by superiors to be done. Does HR Systems Software Work? 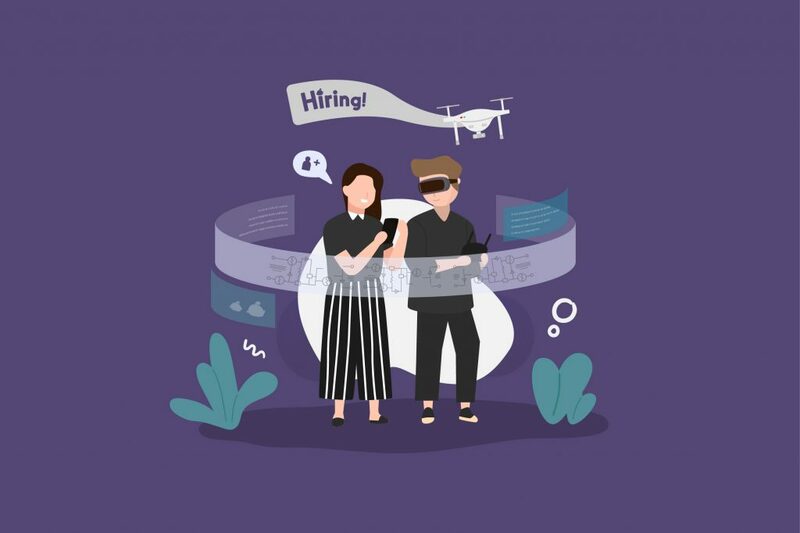 With the rising trend to digitalize any and every aspect of a company to help streamline work processes, HR isn’t an exception to this movement. Many products/companies such as SAP, Zenefits, Sage, and of course Agate are creating digital solutions and/or platforms to help HR processes. 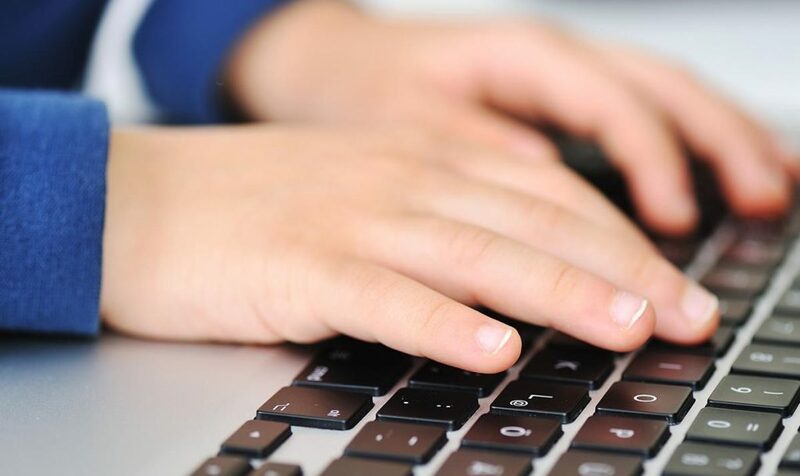 While a more focused solution such as The Code is known to help tremendously, what is the fate of those that take on multiple tasks and aims to streamline them altogether? Would it be too momentous of a task? What is an HR System Solution? 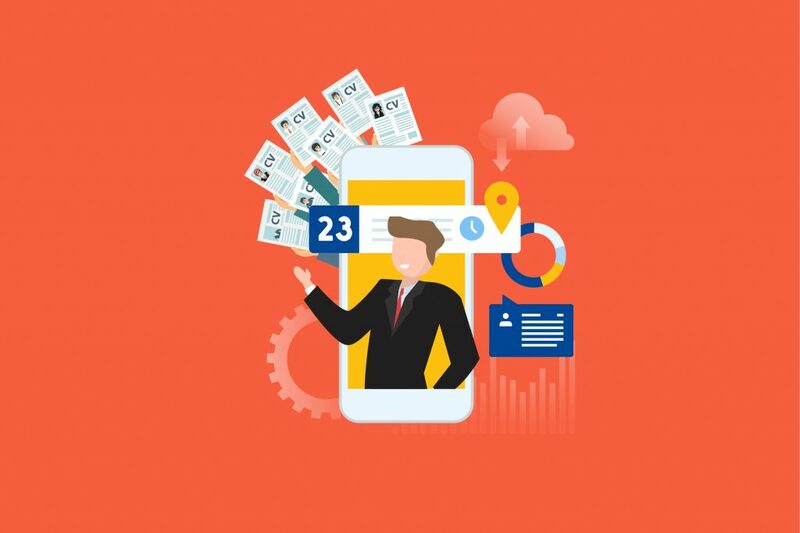 Usually taking the form of multi-platform software, these solutions aim to take multiple HR processes by the horns to provide a more efficient experience for the users. These type of solutions are mainly made to help ease things such as people analytics, data collection, task management, and so on. Easing a manager to monitor employee behavior and performance through an admin panel. 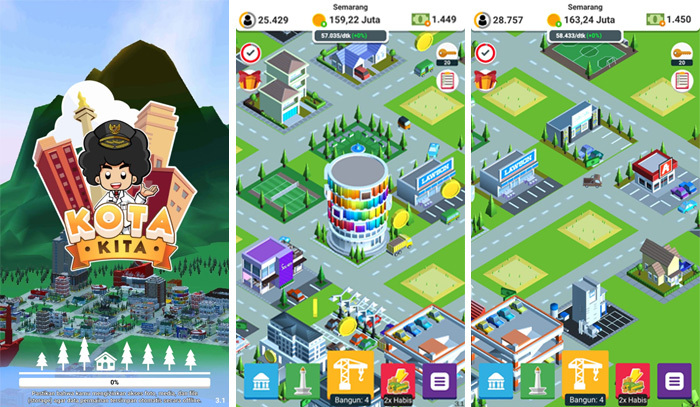 Engage users (employees) with beneficial brain training mini-games. 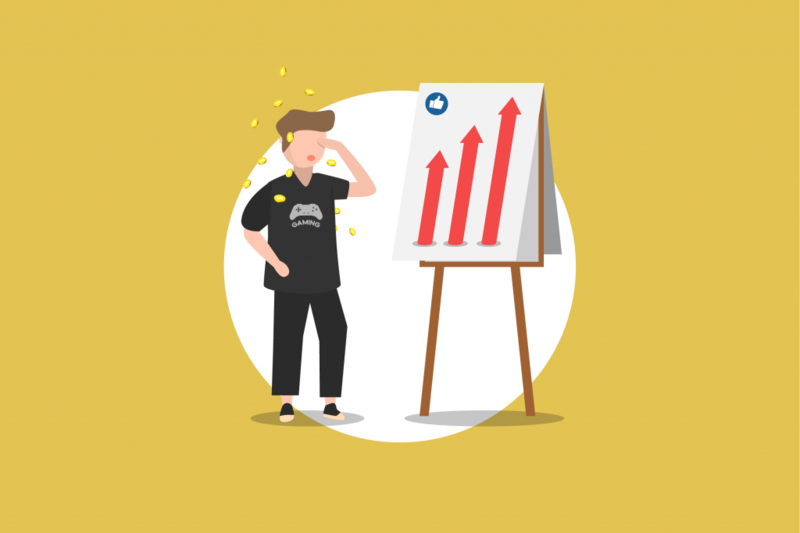 Maintain employee retention with task managers to help employees keep track of what they need to do and reward them for each task done. Redeemable point rewards (Employee Benefits) that Agate Level Up and the commissioning company could discuss. 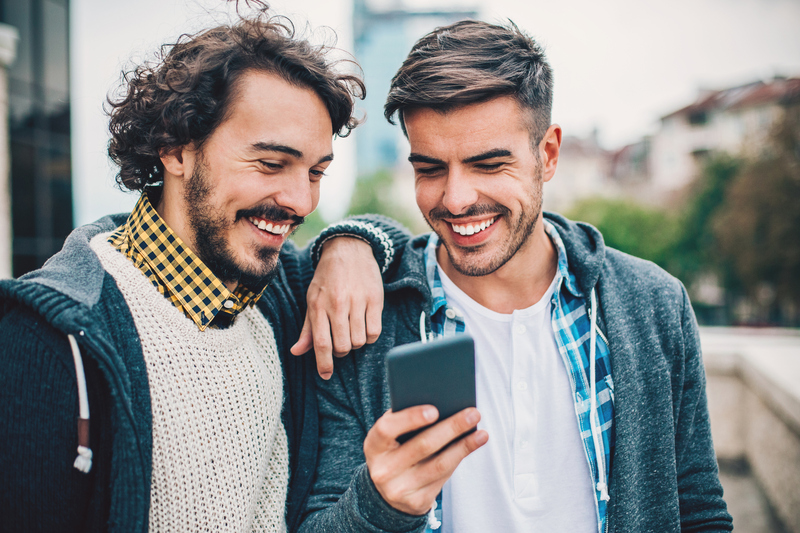 Social media-like features, allowing users, including employees and managers, to easily have a two-way communication capability. 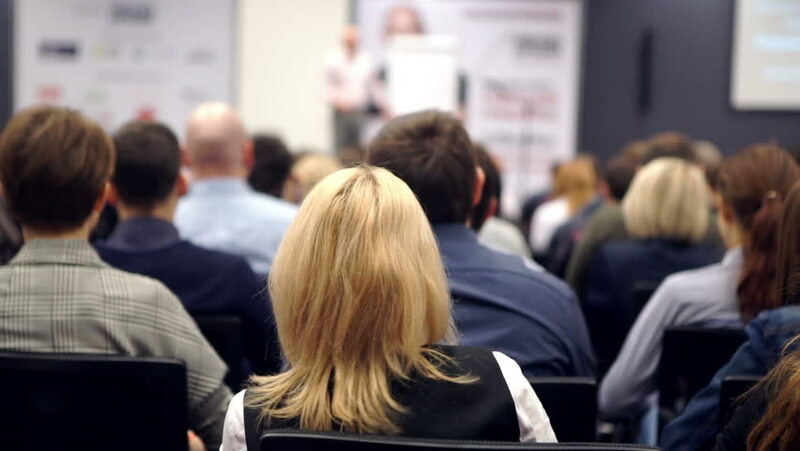 Interactive tools to improve presentations, seminars, and in-class training much more engaging. An assessment tool for training to help make a more informed decision in hiring. Entirely customizable interface to align with the company’s branding, as well as customizable learning materials. Agate Level Up’s ambition is to create a tool to improve efficacy within the HR sector of the company. However, with such a big objective, it is hard to imagine that such a miracle software would simply work that well. And yet, the use of this software is still on the rise. With a CAGR of 9.45%, in the upcoming years, HR Solution market would even cross the mark of $43 billion. Such solutions can even help provide help, and is used by over 3.000 managers, as well as hundreds of thousands of HR employees. 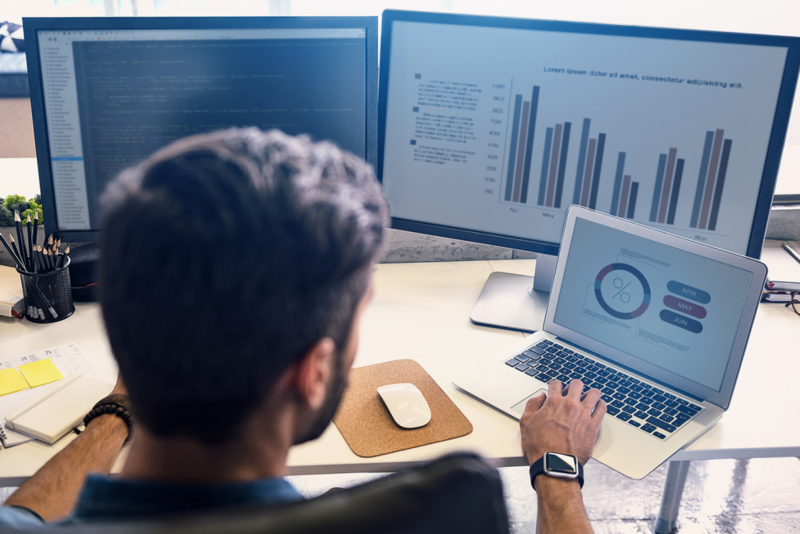 With such software and systems to back up HR processes, the unnecessary loss can be avoided and even help many companies to save at least 22% of costs per employees. It is even said that with a formal engagement solution for employees, a company can earn more than 26% higher annual revenue growth than competitors that do not have the same. It’s also known that many solutions, especially the gamified ones offer instantaneous feedback for the user. 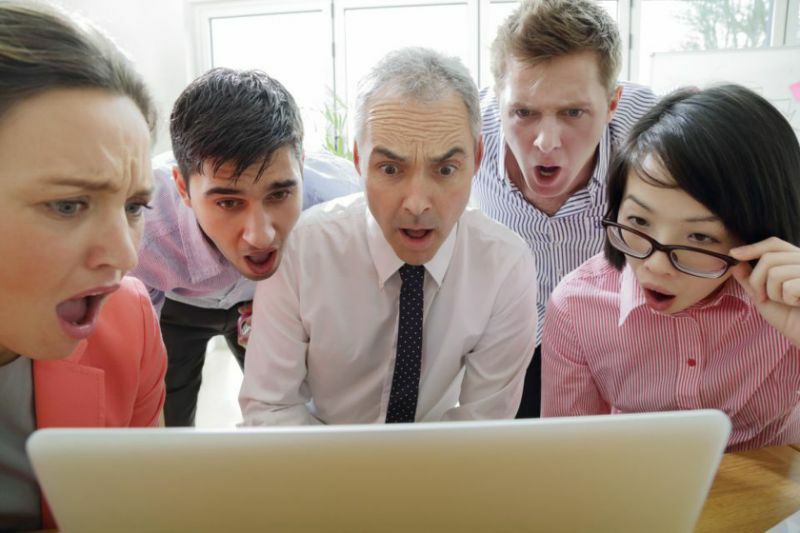 While 98% of employees are failing due to little to no feedback, it is not a surprise that many companies would turn their heads when knowing such feature is available. 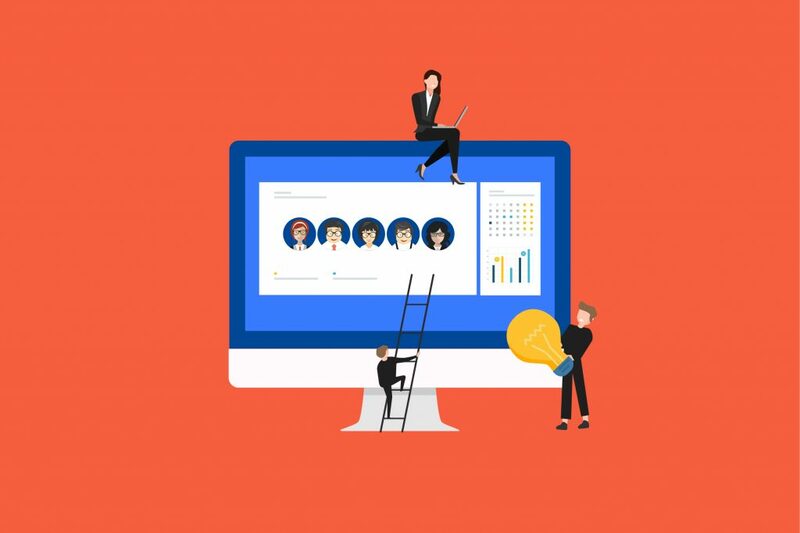 Along with digitalization, gamification, and automation, another upgrade that HR System Software has the potential to bring is the employee self-service module. It is an upgrade that allows employees to conduct query related to HR or perform some HR transactions and requests on their own. 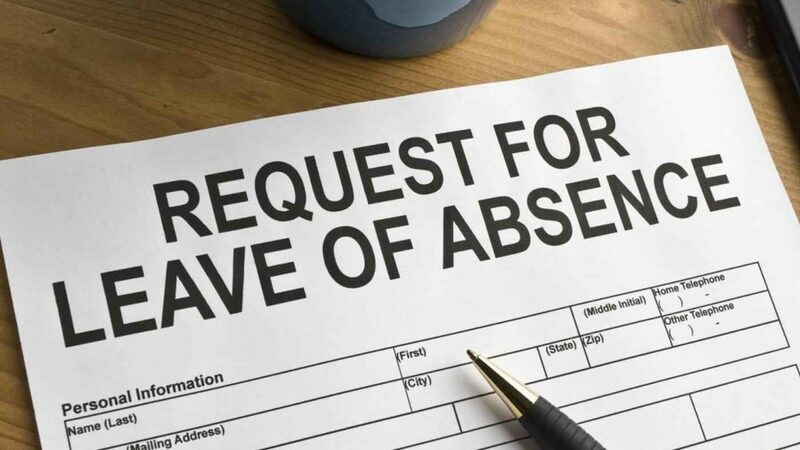 By easily submitting leave requests or viewing attendance without any manual complications, the process is made faster, saving time for both employees and employers alike. After proving the potential and quality of such software, why not find one yourself for your own company? The management process of human capital is a complicated one. Due to the issue, the help of software, especially in sectors where it is imperative for you to micromanage every aspect like employee training, are well appreciated. 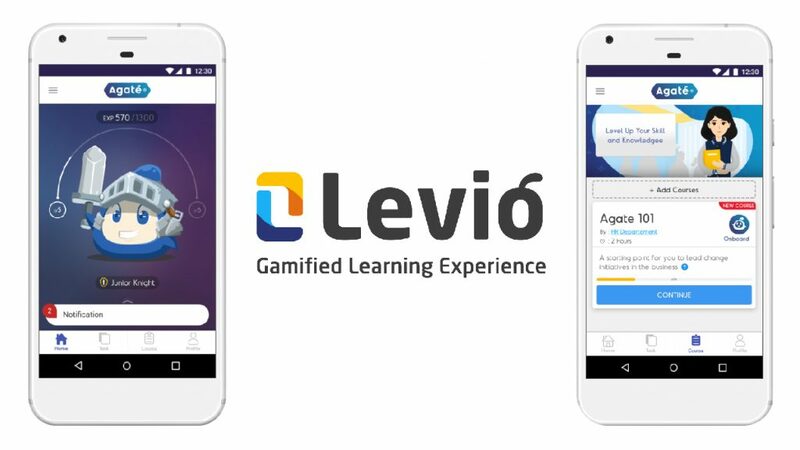 So why not look again, to Levio? Engage your future employees during their training and onboarding to ensure their loyalty and performance! You can find out more and apply for it here. With the growth of the internet and all the supporting technology around it, we now have a complex and convenient way to access any kind of information with the click of a button. But how does this affect the recruitment industry? According to Capterra, 75% of HR Practitioners now are using recruitment tools or software. In addition to that, over 90% of them had claimed that doing so improved their hiring process. And it gets better. 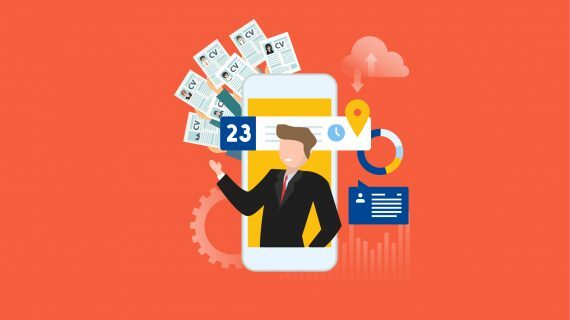 This article will try and give you an insight to the growing industry of online recruitment platforms and how it could help your company. Although there are, in fact, multiple ways to post jobs online, among them are online platforms that aim to double down on efficiency for such tasks. Most standard hiring sites simply work like an advertising platform where you post the open position in hopes that someone takes it. But recruitment platforms serve to also ease the process and make sure you get the most fitting employees possible. 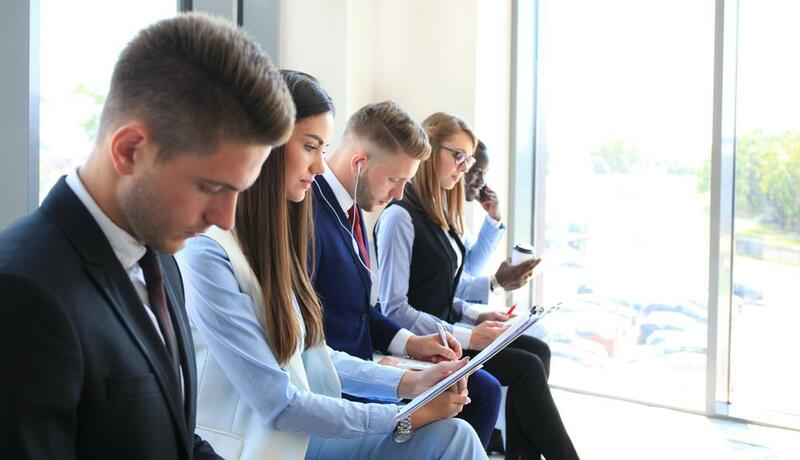 As for the future employees, they benefit from being directed to positions that either reach their rate or is more fitting for their skillset. How Are They Better than Traditional Recruitment? 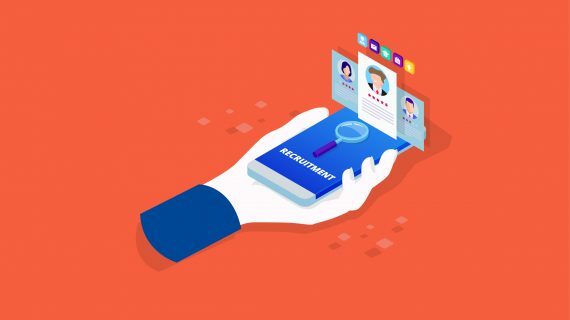 Online recruitment platforms are better than traditional recruitment in the way of streamlining its process where you are only left the task of assessing the talent instead of needing to scout as well. Besides that, below are some more specific points into the matter. The rise of technology has allowed the creations of algorithms specifically designed to help you get better employees. Many online recruitment platforms out there filter out the applicants and aim to give you only the best. They also further give you tools to help ease assessment and selecting processes with minimal human contact. Not to mention allowing you to fully customize the experience to best suit your company’s needs. Another obvious benefit is the reach of using online hiring platforms. Using these platforms grants you access to select from a large network of a more targeted audience than simply putting up job posts. And with the vast width of the internet, it is also much more likely that you find someone with even the most specific skillsets. For a lot of businesses, recruitment can be among the most costly investments. 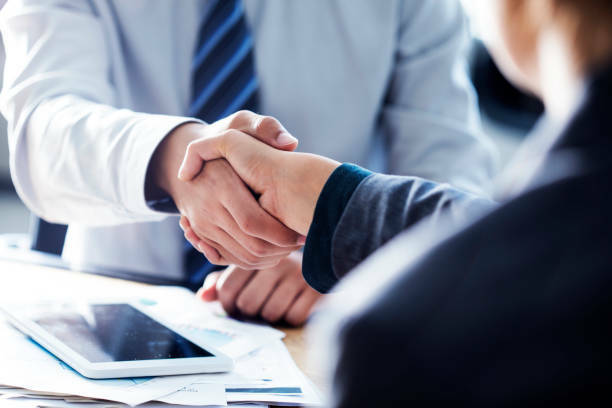 Where, you not only have to pay for the recruitment itself but also retention time, onboarding, and other miscellaneous costs. To most companies, these prices are an investment with the hope that the recruit’s work would make up for it. However, sometimes a worker would resign much sooner than their work’s return on the investment. Proper use of online hiring can decrease this risk immensely. This is due to the supporting of less risky potential employees. 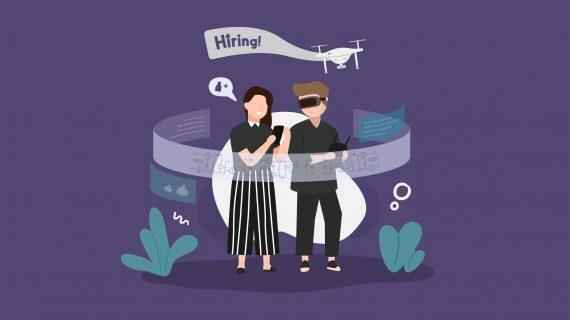 With the help of algorithms provided by most online hiring platform, you will also be able to see the reputation of the worker with former employers much more easily. More and more next-generation startups and big companies are looking to online platforms for their hiring. A survey found that over 43% of HR practitioners of the 70% that uses online hiring, have had major successes with online hiring platforms. 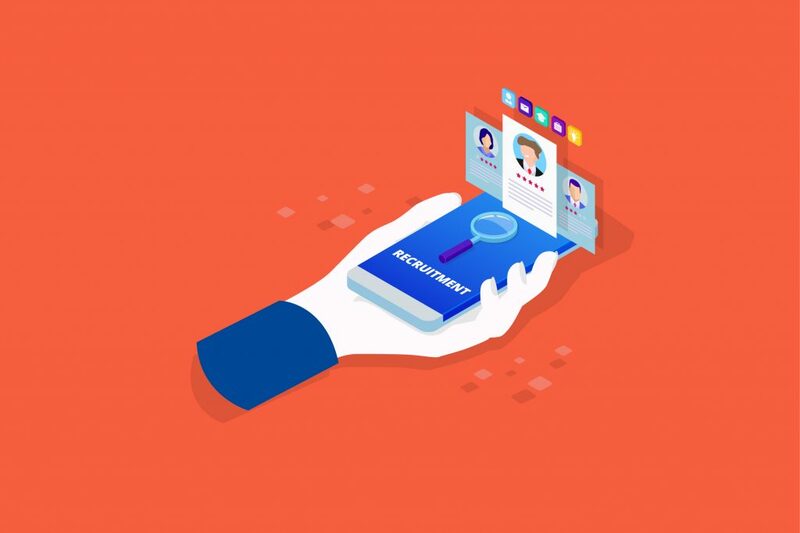 According to a study by Market Research Reports, the US market for online recruitment is expected to rise at a CAGR of 6.47% by 2020, surpassing US$10 bn by the end of 2020. 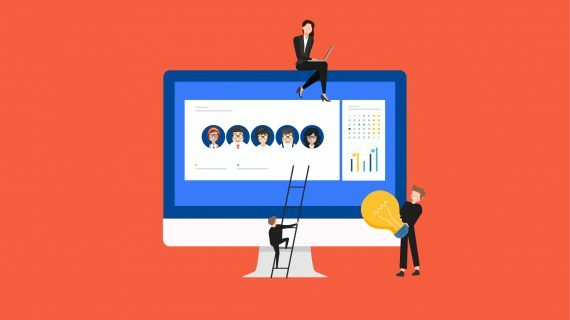 Backing this up is, how innovations are being made every day at an alarming rate, and this does not exclude HR solutions such as recruitment platforms. With each update to the future, hiring quality employees will only be made easier and faster still. Many companies have already switched to a more digital system for various work sectors among their departments, and this includes Human Resources. For a long time, HR has always been thought to be more of a human job, thus requires HR managers to do various tasks manually with as much human contact as possible. But this might not need to be the case. While an HR manager is still welcome, the use of solutions or platforms could help streamline and perhaps improve many of the processes. Many more trends, of course, exist such as using onboarding platforms, networking with employees, and using an employee’s digital work signature to monitor their performance. However, among the many digital initiatives one could apply to the office, how will it impact the behavior around it? A company’s work culture is something very valuable and one might even say that it is what defines the soul of the company. With something corroborated so tightly with HR, it will also be affected should a more digital HR system be implemented. Be it for automation of employee data, recruitment or even onboarding, companies have been known to even go to the length of redesigning their whole organizations. And such lengths are undergone for the sake of adapting to a more digital business model. The main impact on a good digitalization of your HR processes shouldn’t simply be to streamline processes (although it is part of it), but to also improve retention rates of your employees. After all, the reason you ease HR processes is to ease your HR managers to keep your employees cared for and satisfied with your company. 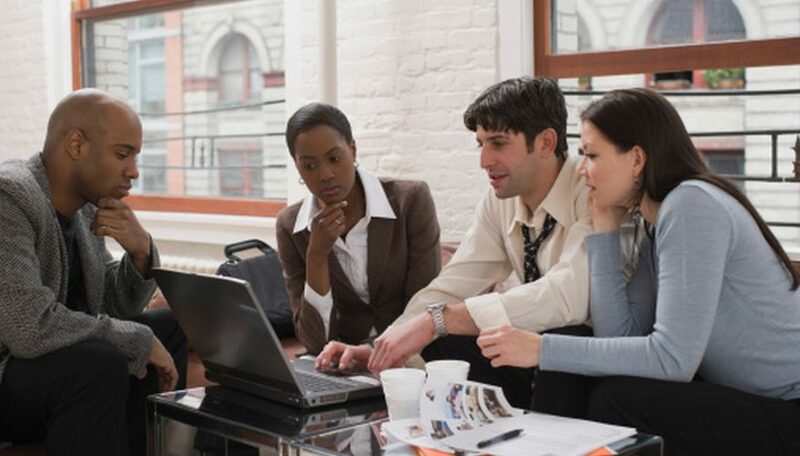 During a survey, it was found out that only 72% of the respondents do not understand their company culture that well. Although this seemingly feeble, it may eventually lead to a breakdown on a psychological level. 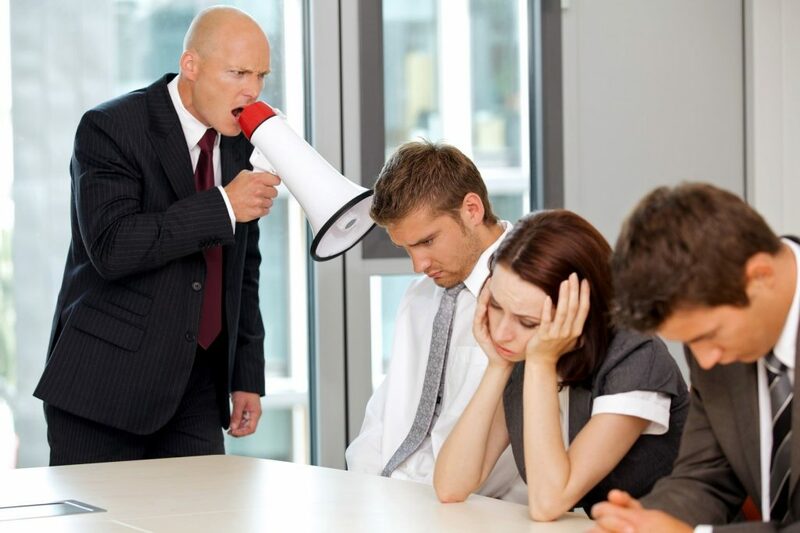 Many employees undergo the provided work culture without knowing any better. In the meantime, they might not know that they’re subjected to something bad at all and thus stay silent while their stress builds up. This could result in an eventuality of employees resigning or relocating. With the shift in how welfare management is being approached, a Digital HR could help in this regard. 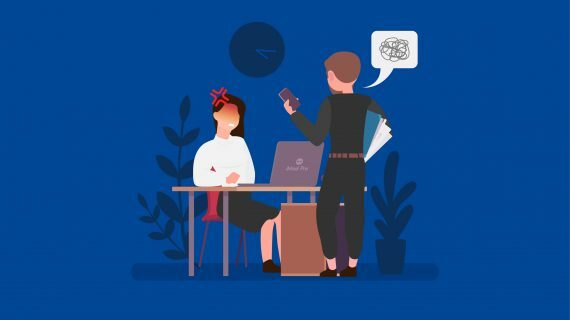 The current shift in trend, that HR practitioners are starting to look into and prioritizing the employee’s mental health as well as physical. This could benefit highly from a proper two-way communication. A Digital HR not only helps with creating a more efficient environment but communication as well. 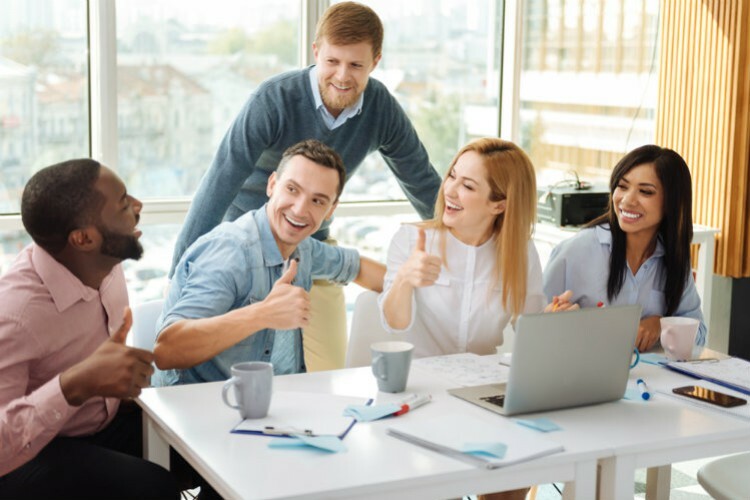 An instantaneous feedback or survey system can easily help HR managers and the employees reach a better understanding of how the company culture should be molded. 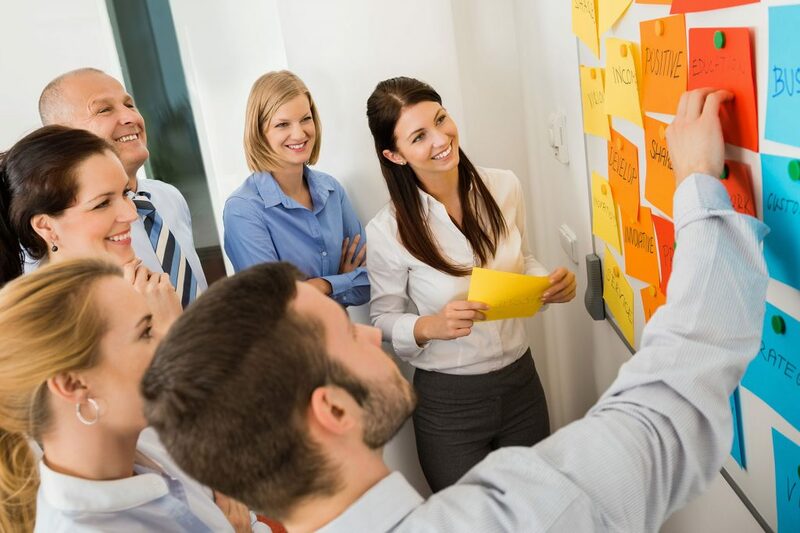 By doing so, it is expected that it would help to create a true two-way communication and, in turn, create a more stable environment and culture to maintain the mental well-being of the employees. 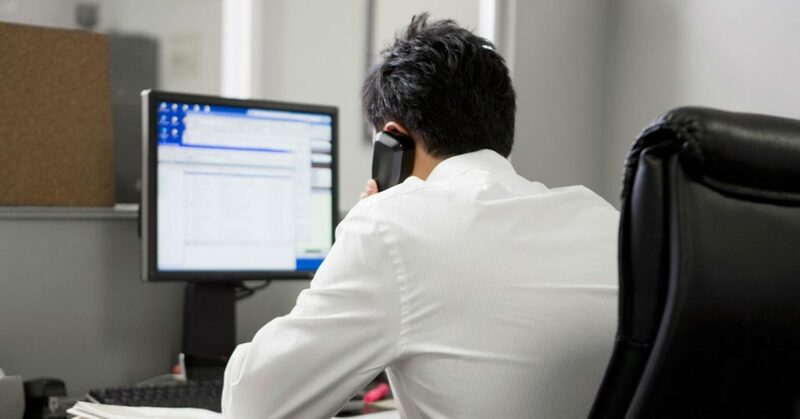 Innovating and Streamlining Processes would help transform time-consuming administrative tasks. 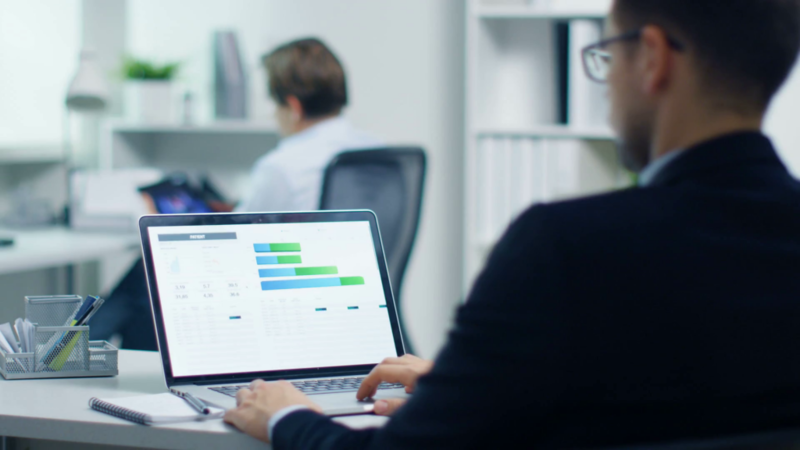 Providing Data and Analytics to process more accurate and detailed employee information within all HR activities would help improve decision making. 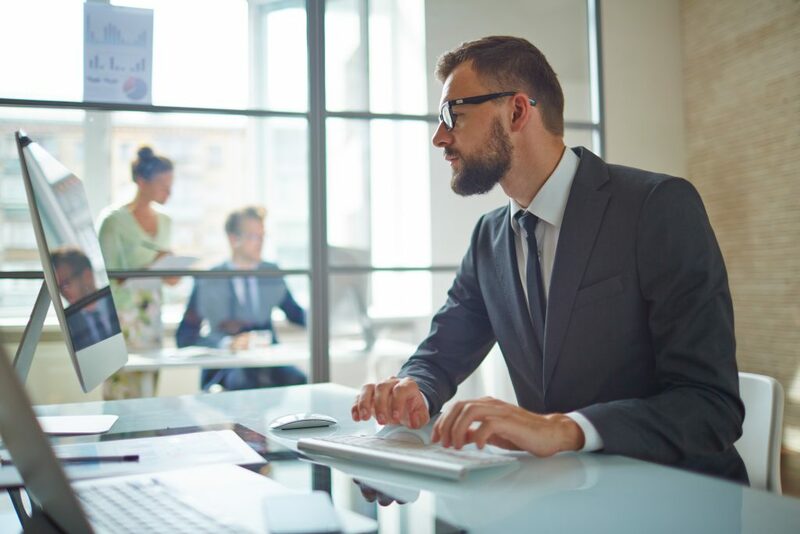 Improving the Workplace by digitally-enabling the work environment would help employees become more flexible and efficient. 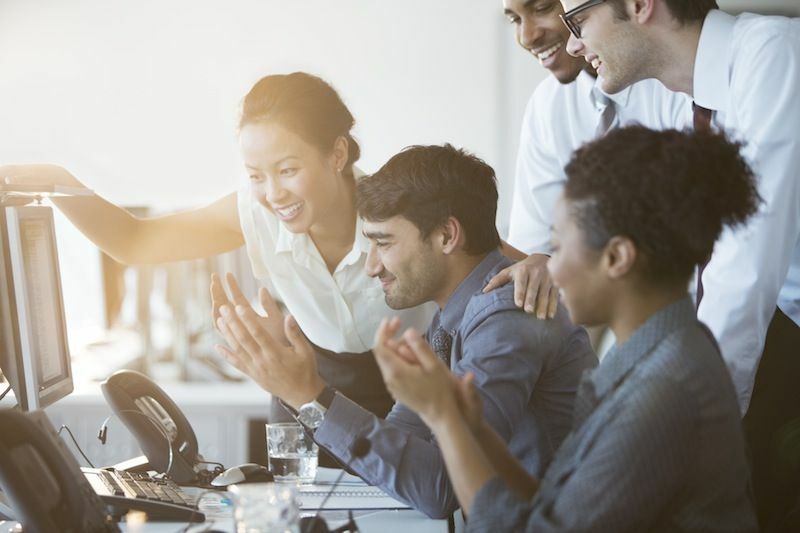 Providing Instantaneous Feedback and Service to your employees would help them and HR managers collaborate to create the ideal culture to increase their retention rates. With the drastic changes over the recent years, it is undoubtedly true that we cannot simply take a look and approach HR as we did at, for example, 2015. 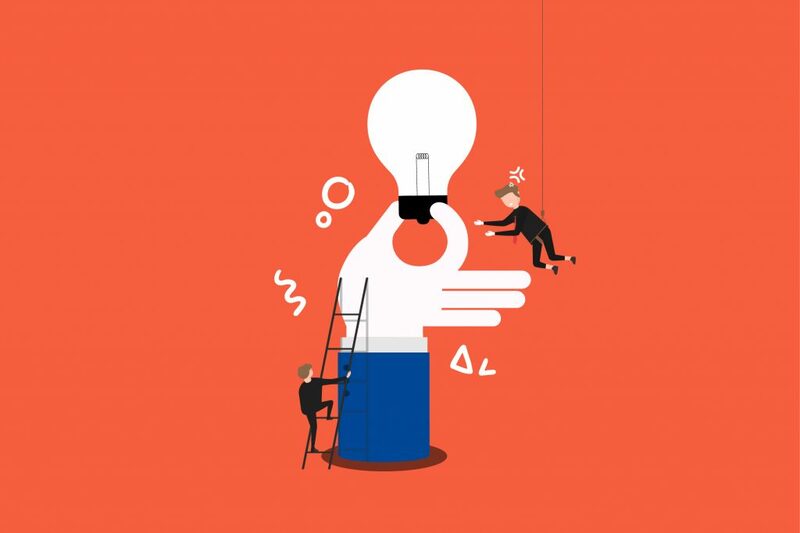 While in the previous article we mentioned a bit of welfare management through solutions, this article will aim to address more overall toughest HR challenges in 2019. Among others, matters such as the big shift to caring for employee mental health, compliance, and workforce planning will be addressed. 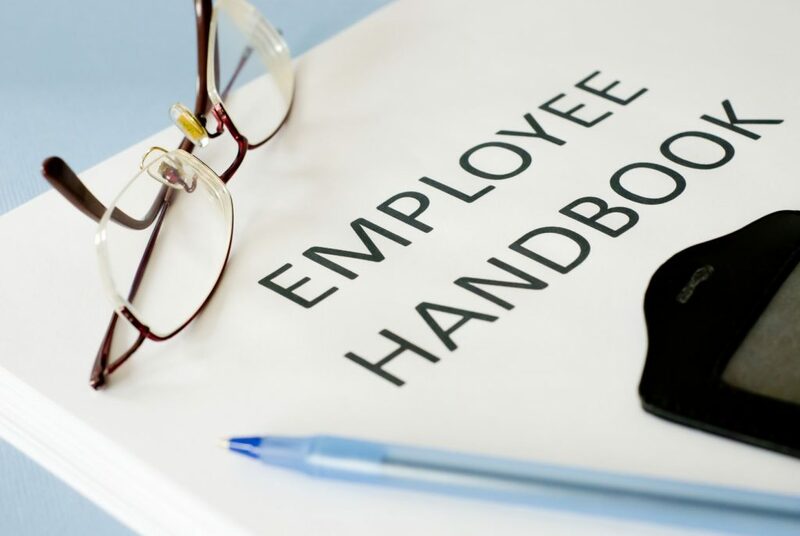 Since HR first became a department, the compliance and retention of employees had always been a struggle that must be kept in mind. And 2019 is no different. 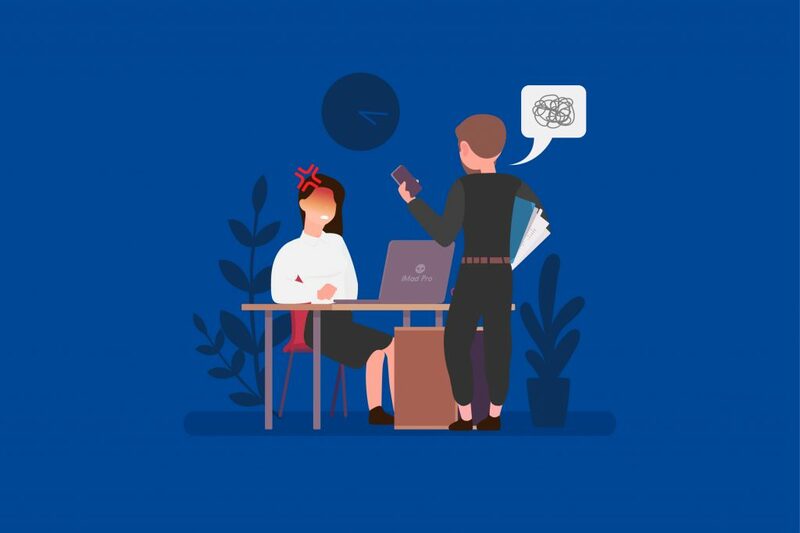 Albeit throughout the years, more and more common solutions and initiatives are provided such as flexible working and unlimited holiday, it still would not be enough. This is especially so, considering the rise of the millennial workforce and after the events of the #MeToo movement. While companies in the United States must now dance around laws regarding marijuana use, below are two more universal challenges. Leave laws that frequently change have always made it hard for employers to determine a comfortable protocol to determine the paid leaves of the employees. Dealing with this, employers and managers alike should study and determine which laws and regulations their company falls under and how to properly document leaves. 2018 made great strides for paid leaves with family-friendly leaves such as the ever-rising in popularity, paternity leaves. Problems mainly caused by the disruptive era and an increasingly competitive labor market, retention problems are always a titan to handle within HR and will continue to be so in 2019. Impostor Syndrome is something that you get when you combine the workplace with anxiety, to have high anxiousness and feeling of failure despite evident success. With nearly 40% of the cause being self-doubt, this is a seemingly trivial problem that might cause damages within the workforce. It is something that is thought by many such as Fast Company, TIME, and Forbes to be quite the big deal. It is debatable whether this syndrome is beneficial or not to the office, but it is most definitely not beneficial to the employee. 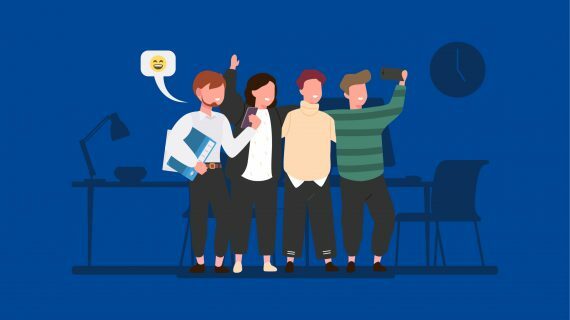 However, if some way, the office is able to help deal with this mental affliction, to help encourage and reward the good work of good employees, it might just lead to a happier worker. And with the employee being happier in general, it will lead to better loyalty and higher retention. Especially with the younger generations that are more prone to mental health disorders. You may be wondering how exactly can an ARG bring forth so many people to collectively work together or to individually pursue such great lengths for what is essentially a game. Our previous two articles explain the fundamentals of ARGs’ potential and the impact it had on the past. But in this article, we’ll be seeing how exactly said impact is made. Right now, in the present and how said potential will continue to grow in the future, especially for marketing brand awareness. Alternate Reality Games, in its essence, are puzzle solving games where the players would need to work as a collective to solve. Even ARGs targeted for individuals to solve alone like recruitment ARGs still encourages a sense of community within the players, collaboratively increasing their knowledge-base through networking. Therefore, it is through that collective process that ARGs spread like wildfire. Especially in this day and age, where sharing information through something like mainstream social media is only 1 click away. However, that is not the only reason an ARG can quickly become so popular. An ARG like the Twitter account The Sun Vanished makes use of surreal story-telling elements. An ARG is a narrative playground. If you can create a story for the ARG that would evoke a sense of interest alongside the challenge it provides, you can have yourself a viral hit ready to be sent out. 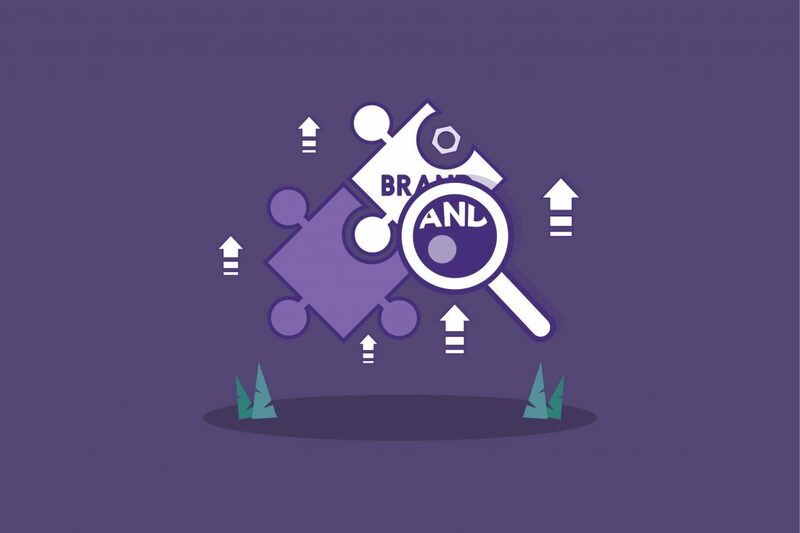 With some ARGs, it seems almost impossible to put the face of your brand into it. But the key here isn’t to put your brand blatantly to the game. That takes away the intrigue of it all. Your potential consumers must know that your brand is an ever-looming presence in the game without being intrusive about it. Below are 2 examples of how a brand is implemented within a viral ARG. In August 2004, hints of a website were dropped everywhere but were first advertised by a hidden message within the game’s trailer. When taken to the website, the players then uncovered that it was apparently being taken over by an A.I. and through this campaign, foreshadows and context of the story for the game is slowly uncovered. From the people that found it, spreading it, and reaching out for help, the campaign eventually reached out to over 3 million visits and players around the world. This campaign, titled I Love Bees was commissioned by Microsoft for their upcoming game, Halo 2. The campaign itself received many awards for being innovative and incredibly unique at its time. 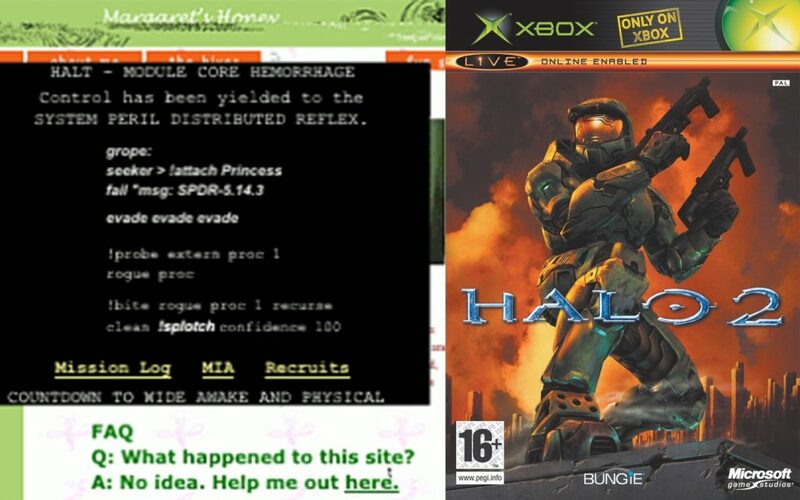 Although the ARG weren’t too blatantly obvious that it was a Halo 2 marketing campaign, the people that paid attention to its updates and the participating players never forget. Some marketing ARGs are a bit more obvious as to what it promotes. 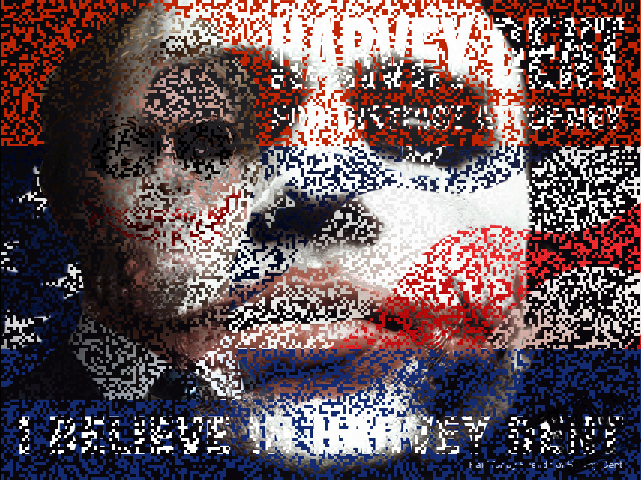 The Batman: the Dark Knight’s marketing ARG titled Why So Serious. This campaign was a viral hit not only due to it being in the shadow of the big movie title, but also for its way of fan-service. The puzzles were simple enough, thus it doesn’t require super intelligence to solve but also hard enough to invoke many people asking questions, thus the sense of community. This campaign sparked over 10 million people to be immersed in a world-wide puzzle-solving agenda. And with a lot of the orders were to take pictures and share it online, it leads to a domino effect of intrigue and an ever-growing audience. 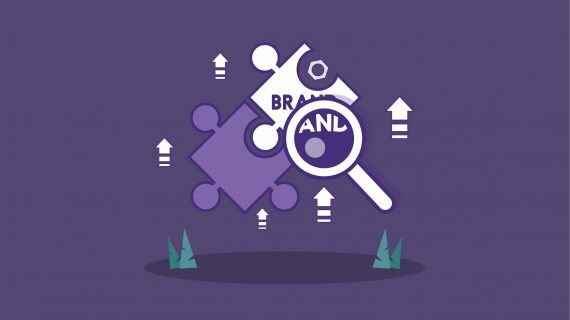 Besides having the power to spread your brand and product, ARG has the capability to give a power as well. And said power is ownership. One of the key aspects of gamification is to make something done and worth the effort feel like it’s the player’s. Thus, they’d have a sense of bond to said experience. And with it, a bond with the product and/or brand. Susan Bonds, 42 Entertainment President & CEO. Companies and even certain government organizations have been using Alternate Reality Games to mask scouting processes since at least a decade now. And each time, through specific tasks, it almost certainly gets the organizers true quality employees. But some thinks that ARGs are limited only to harshly complicated and cryptic riddle-based activities. Well, this article will aim to tell you how that might not need to be the case while still getting you highly capable recruits. As ARGs are often more collaborated to cryptic puzzles and conspiracy theories, most of the time, recruitment through it often is for positions requiring elite-level intelligence. Below are 2 of the many notable uses. In 2013, this ARG was promoted by the British Intelligence to fill elite positions within the GCHQ. And with it, GCHQ hoped to find coders fully capable of cracking such codes that may have been self-taught, doesn’t have the proper degree, or even simply never found the chance. This method proved incredibly effective as the challenge (not even the reward) proved to have attracted the attention of hundreds if not thousands of capable mathematicians. Some of them even joined a community to discuss it with each other such as this Reddit thread in the UK Subreddit. Exploding the world wide web with the biggest scavenger hunt the internet has ever seen, at 2012 was the mysterious organization nicknamed Cicada 3301. Some would say that Cicada 3301 is the pinnacle of an ARG. 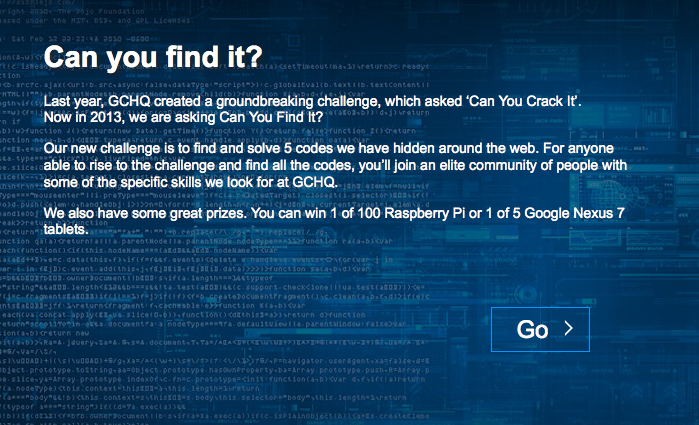 Combining mystery with elaborate puzzle hunts both on the internet and in the real world. Players would need to solve puzzle after puzzle. From fields of cryptography, steganography, and other related fields. Those puzzles would at the time lead you to find posters spread throughout the world. After the game is complete and Cicada finds their sought after individuals, it would at times repeat again the very next year. Though there is no way to know how many players actually participated in the game, it is safe to say that the count goes up to at least millions. Despite the two examples given the sound more elaborate than what a regular company might need, there are some very valuable points to take from them. Can You Find It proves that you can be more direct with your intentions to draw in interested parties. It also proves that such an ARG are an incredibly efficient way to grasp the attention of hidden talents that may even prove more capable than those that have official titles. 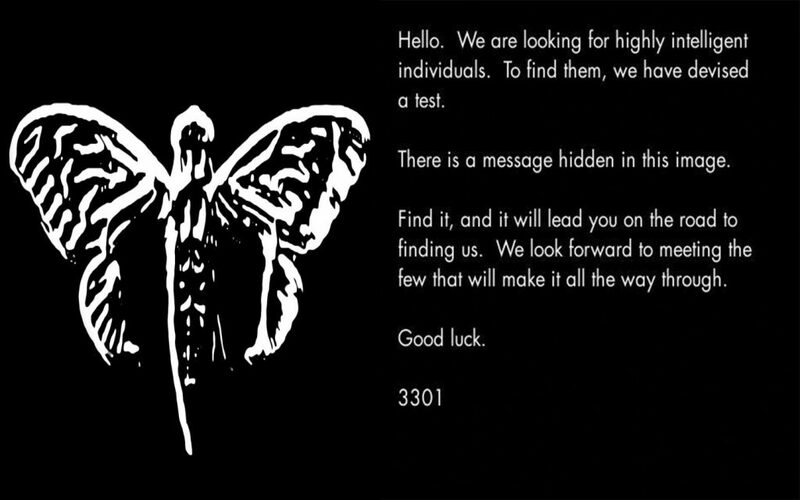 Cicada 3301 proved that a phenomenal ARG can attract the curiosity of countless throughout the world. While at the same time, it may not need to cost more than you think. Returning to the point of Cicada 3301, many of the puzzles that they’ve made are intricate. Even the red herrings were intricate. And this sound like it would take a lot of effort and cost-heavy. Especially the part of interconnecting the scavenger hunt to the real life with the posters spread throughout the world. But that may not be the case. While some of Cicada’s puzzles were obviously handcrafted by experts, a less hard and more open to general individuals may not necessarily need such things. For one, many free softwares are available online if you simply want to create encrypted messages. And anyone can now hire a number of services to simply do tasks such as placing a poster in certain parts of the world. And it would hardly cost much. Even beyond that, with the growth of social media today, it is quite easy to make a number of smaller scale ARGs if you prove creative enough. ARGs are still not within the mainstream but can easily attract the curious attention of the public. With this in mind, the earlier you are to try and use it, the more unique and creative your implementation will seem by comparison. And thus, would draw in more interest. According to eLearning Industry, ARGs or Alternate Reality Games are “An experience that takes place across multiple platforms, formats, and locations.” Something that “Has elements of eLearning, computer games, geocaching, scavenger hunts, live action role-playing, and social learning in Alternate Reality Games.” But that in itself is not the full extent of this initiative. With proper implementation, this initiative has the potential to attract up to millions of players worldwide. 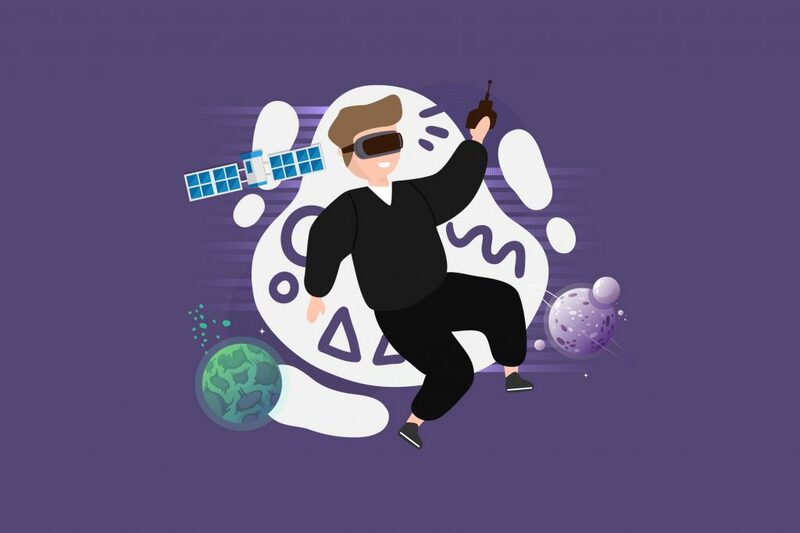 Alternate Reality Games could possibly be one of the best method of getting the involvement of your potential consumers through a marketing campaign and this article will tell you why. Alternate Reality Games are more than often a collaboration of a scavenger hunt and a mystery case. Sparking engagement through the puzzling clues it leaves and drives collaboration within individuals that are equally interested in finding the answer. Through the challenging tasks it provides and offers to the players, often times an ARG is seen as something that might alienate consumers instead of draw them in. However, what is often overlooked is that despite not everyone is able to participate in such a hunt for clues and puzzles, everyone can bear witness to it. The mere activity in itself becomes intriguing and often leaves people fascinated by them, and this often leaves quite the examples. Albeit having early 2000s with Microsoft’s marketing campaign for the movie; Artificial Intelligence, ARGs had always been thought as expensive due to the need of in-depth elements such as puzzles, mysteries and the incorporation of those elements to the real world. Combine this with things such as website maintenances and other variety of costs, Alternate Reality Games have always been considered an intimidating campaign to plan, let alone execute. And despite the results ARGs seem to bring, with its level of virality and reach, it has never been a true trend or mainstream within the world of marketing. However, the argument here is that perhaps now it is the time to ignite a more creative approach to ARGs. Everyone loves a mystery and many people love challenges. A good ARG brings the best of both worlds. An ARG can create a challenging mystery, driving the curiosity of its players and bringing creative ways for the players to progress the game. In its essentiality, an ARG uses the same drive that makes people think up and love things such as conspiracy theories. Since, within an ARG, initially you would not know what the purpose of the challenge is. The cryptic nature and intermingling over the world-wide web would spark a sense of genuine curiosity and fascination. Besides leaving behind a spectacle in the brand’s history, players that had partake in the game or even onlookers that observed its progress will familiarize themselves with the brand that conceived it. And this is no small matter. As, if the game itself reached the ears of hundreds of thousands or even millions, those very millions would be the one to see the brand in high regard for the clever marketing. And besides spreading brand awareness, would most likely also promote a better image for the brand as all creative marketing plans tend to do. And should this be coveted into recruitment for capable hands, the campaign itself would also serve to be the best type of assessment for it. Video games are one of the most top grossing ways to place advertising or collaborations. 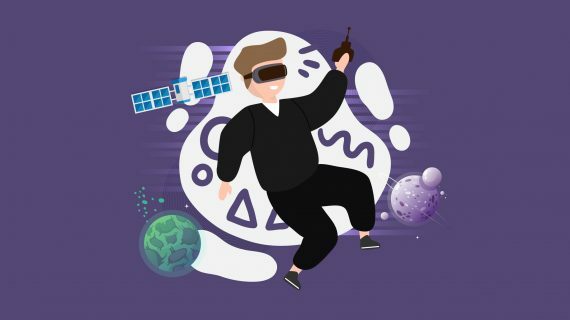 With an ad revenue of up to 24 billion USD, spending on advertising within video games are rising above 4 billion USD—which, debatably, is an incredibly cheap investment for the potential returns. With the improvements of mobile games as a whole, the market for video game advertising is becoming even cheaper and to a wider audience. Advertising on games are a slow moving yet efficient way of spreading brand awareness and dragging in conversions. Especially if you partner with games that are somewhat in-tune to your brand. As digital advertising brings in more data, it could prove to be an even more profitable investment than many other types of digital marketing. Especially if you are aiming for a lower budget advertising. Game-based partnerships and advertising is still relatively cheap despite the potential abundance of data and possible conversion it drives. With the average price per engagement staying way under 45,000 IDR or somewhere under 3 USD per engagement. Something that game partners often claimed to be “much cheaper than less engaging alternatives” especially considering how much of a user’s digital footprint you gain access to should this type of partnership be done. 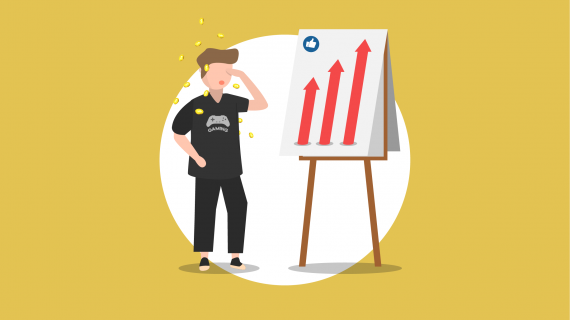 With the game companies handling the maintenance and necessary changes to the game, the partner doesn’t need to worry about too many side costs (such as maintenance or upkeep costs) that may hinder revenue. Social Media shares of ongoing about partnership/campaign, creating more brand awareness for you from the users and earning more potential users. Organic Conversion where users may not only use your services for the benefits but also everything else that you provide. Behavior Analytics be it from a user’s spending habits of in-game currency to how often they would use benefits your service provides. As an example of how a partnership with a video game works, we take a look at Kota Kita by Agate. The game had first been drafted years before its first partnership. However, was finally finished and launched at April 2018. And in under a year that it had been up, the game had accumulated at least 500.000 users. And with the 500.000 users it had, over 50% of them contributed to the game partner’s conversion rate. As for the rate charged was much under 30.000 IDR or somewhere under 2.1 USD per engagement. Which were even less so than market average. Due to the partner having their own game channel, the way Agate approached this partnership/collaboration was to put in a login option to the game through the partner’s channel. 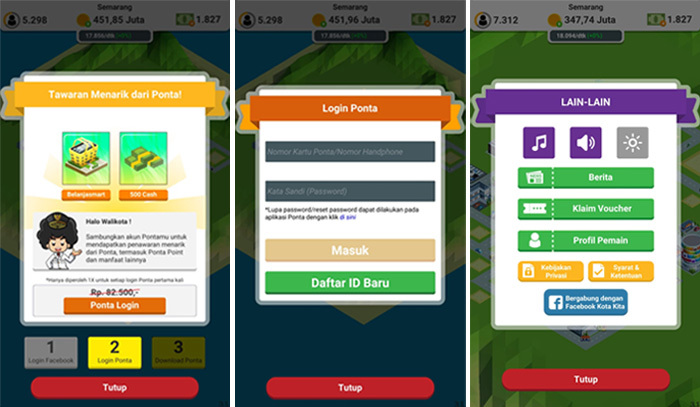 Logging in to play the mobile game would in turn help save their progress, this is the same benefit earned by players even should they log in with Facebook or Google. However, with the partner’s channel, a user would gain additional benefits and premium rewards for the game. This generated a lot of interest and in turn engaged them enough to not only register for the partner’s channel but use the partner’s channel for its other uses. With a special note being that the 50% conversion rate for the partner does not include the small percentage of people that had already had an account for their channel. And with the active daily user count reaching 45 to 60 thousand users per day, the partner has a share of said active user. The partnership had been an enormous success due to the sheer numbers of users playing the game, even if they do not log in with the partner’s channel. As, it was found out that logging in with a social media account also proved beneficial due to the user data it provided. And this, in turn, was shared with the partner, letting them earn valuable insight to potential customers. Data driven from a user’s Facebook or Google account is invaluable as it contains information such as preferences, digital behaviors and interests. All of which can become a treasure of an asset for market studies and predictions outside the game-based partnership. A full partnership is of course not needed for spreading your name to a game’s user. Even simple ads that pops in on a game meant to be a simple time-waster can help. Though it may prove intrusive should it be done wrong, when a user is fond of the game and the advertisement appears enough, it might even just condition them enough to eventually click on the advertisement and thus, the potential of a customer is realized.